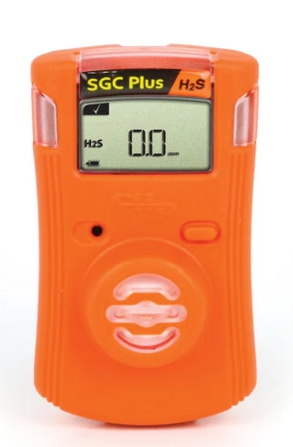 Gas Clip Technologies Single Gas Clip Plus or SGC Plus, is the only maintenance free handheld gas detector available with “Hibernate” mode. “Hibernate” mode allows users to place this disposable single gas detector in a rested state when not in use. The SGC Plus is perfect for seasonal/turnaround contractors or rental fleets. When your job or turnaround is finished, simply synchronize the instrument with our IR Link or SGC Dock and put the detector in a rested state. When you are ready to use the detector again, simply press the power button to reactivate the detector.